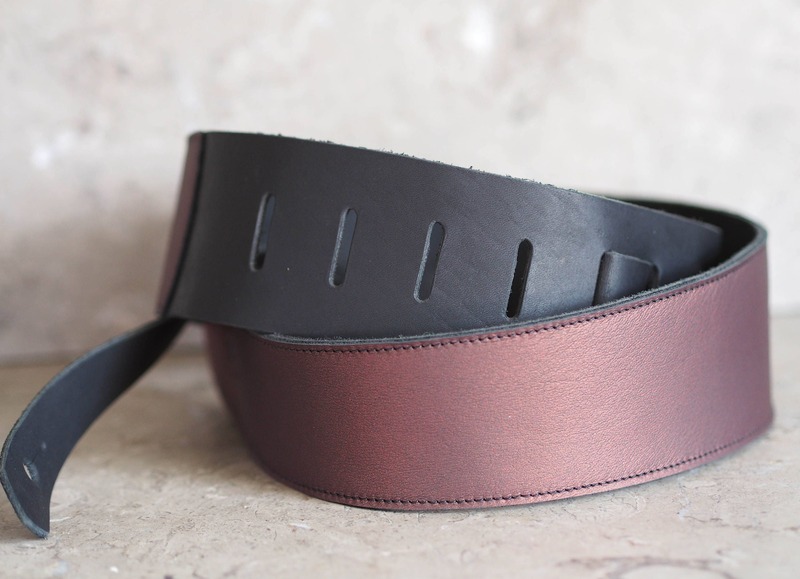 This guitar strap is made with a cabernet color leather layered onto a firmer black cowhide. 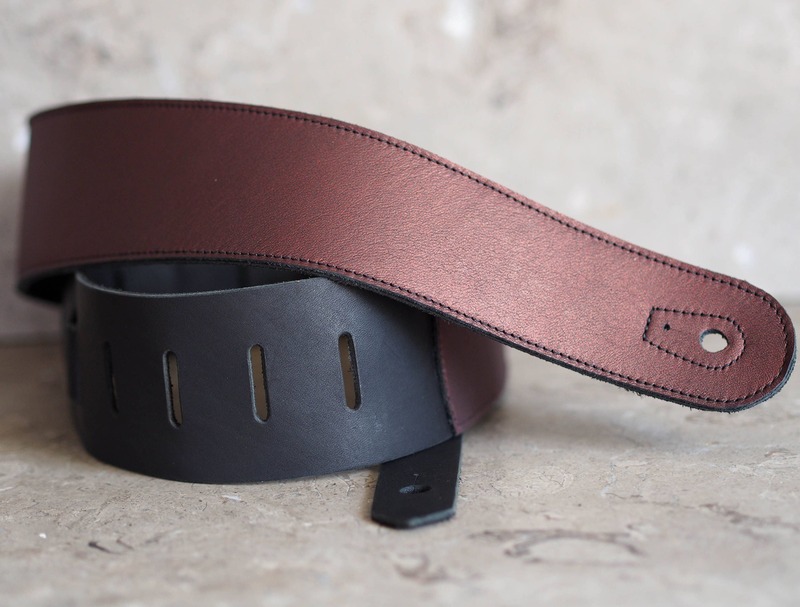 It is glued and edge stitched onto the main strap, and the adjustment strap is the same as the main strap leather. 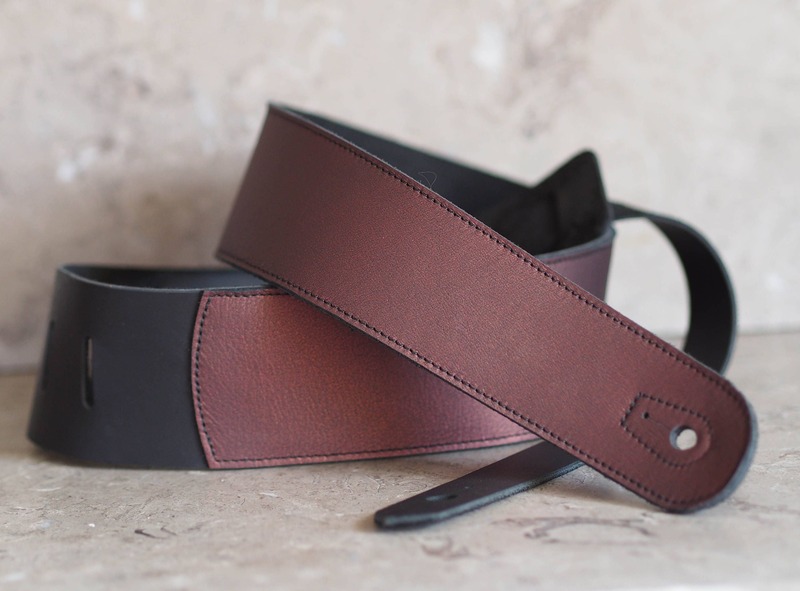 There is a very subtle sheen to this cabernet leather, as it's not a single color dyed leather, but a surface treatment over a black leather of multiple shades of wine reds providing depth and character to the leather, as befits any good wine. This was a christmas present for my Dad and he loved it. Great craftsmanship and beautiful coloring. 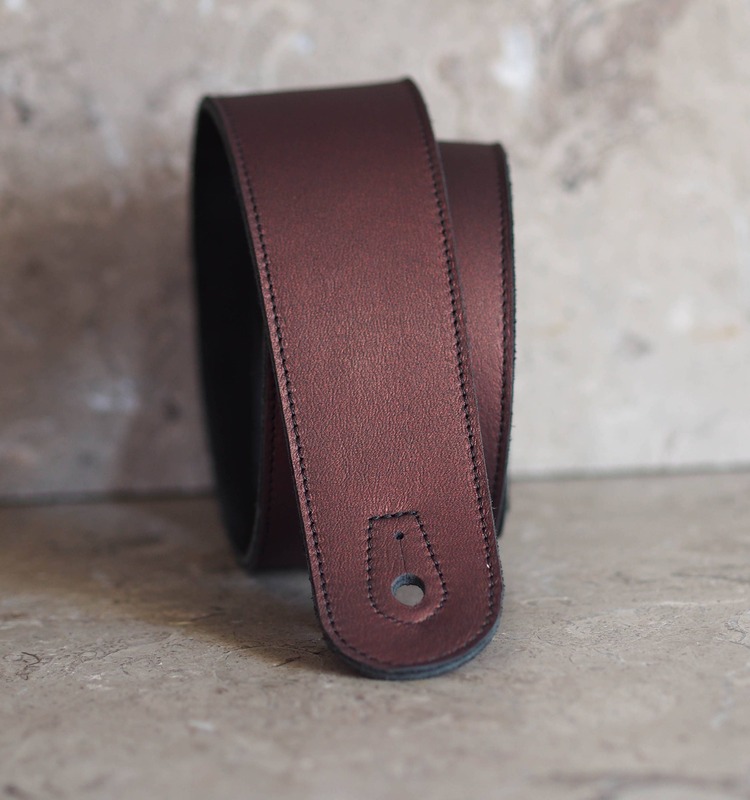 A very classy guitar strap. Fast shipping, too.